Royal Hill residential buildings are located adjacent to a central artery of Beirut, on the edge of the Solidere district. 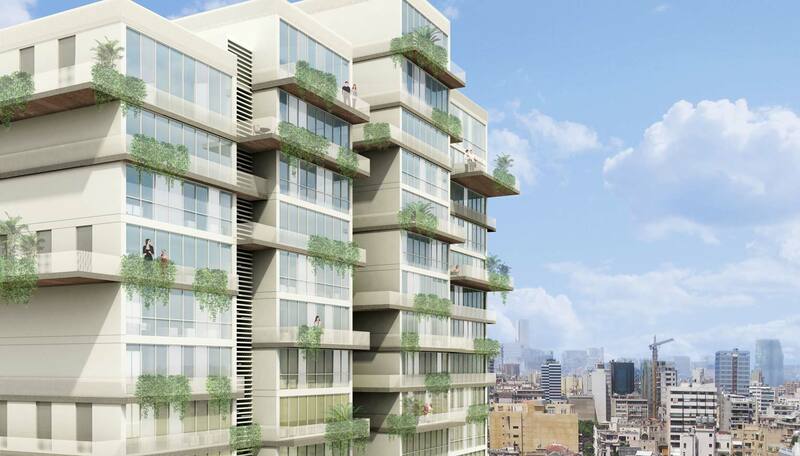 The structure overlooks Beirut’s center and coastal strip. 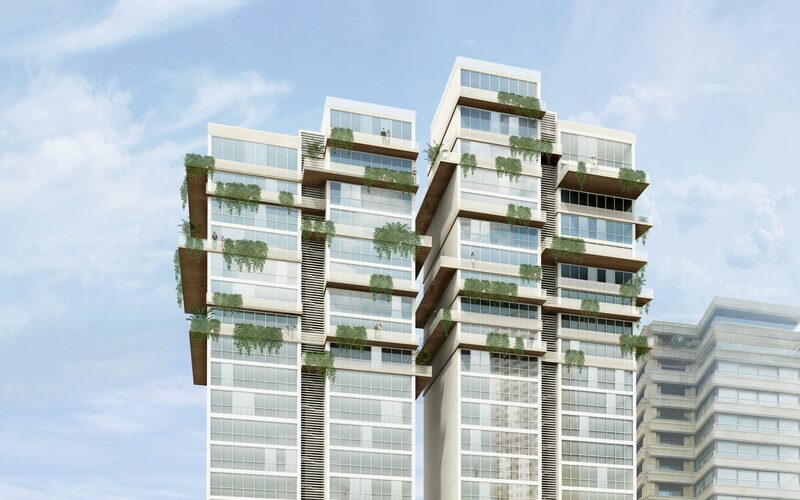 The site is situated at the nexus of two urban fabrics, in an area witnessing high-rise development. The architectural design needed to negotiate issues of scale, unit diversity, zoning regulations, and the views. Instead of one massive volume, the project was split into two volumes; these were intentionally shifted at their circulation core to create a visual definition of four elongated towers. A variety of hanging slabs were utilized to create outdoor terraces and gardens for residents on the 10th floor and above. At this height, outdoor spaces would be isolated from the urban noise and atmosphere. On the ground floor, lobbies, a gymnasium, and a children’s playground open up to a verdant landscaped garden. 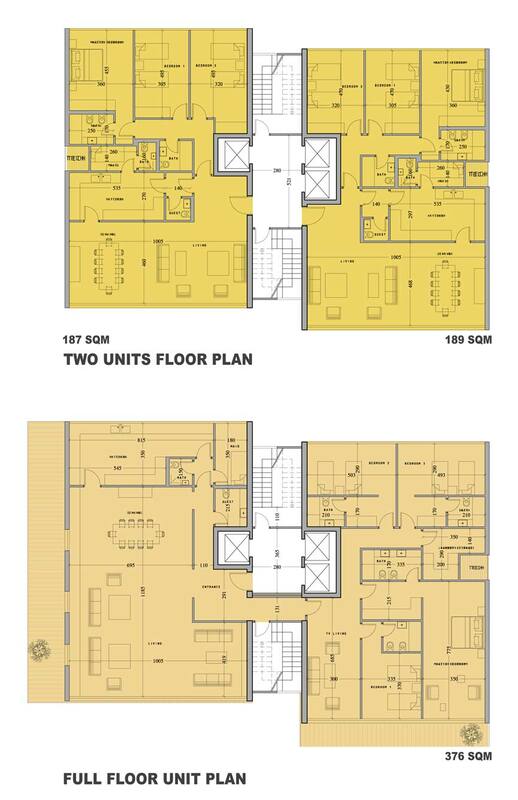 Although the design called for a maximum usage of plot area, the design team managed to include flexibility in the floor plans resulting in a variety of units. Apartments range from simplexes (190 sqm), to private level flats (376 sqm), to a number of duplexes and penthouses on the building’s upper floors. 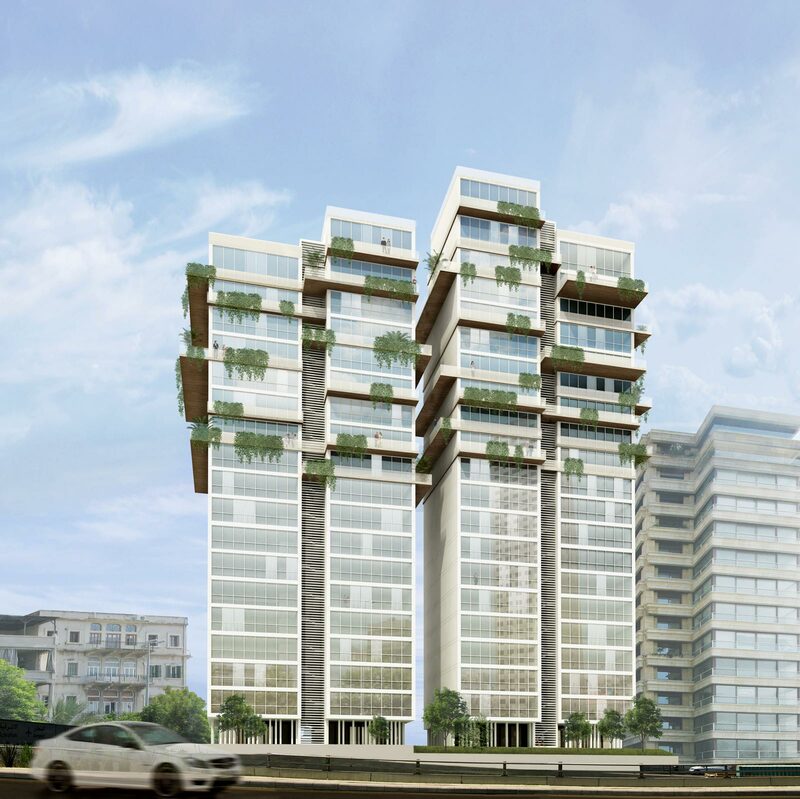 The northward orientation of the structure allowed for a fully glazed main façade to provide residents with remarkable views of Beirut and the coast. The building’s rear façade is characterized by small, elongated openings that afford privacy to bedrooms oriented toward a secondary residential street. Natural materials, including white stone and light-colored wood emphasize the conceptual simplicity of the project.